To design the best hydroponics system, one must look at the host of factors contributing to plant growth, roughly these are the environment, temperature, nutrient delivery and protection from damaging agents. Hydroponics farming in India looks to the use of Greenhouses as a solution to manage these factors. Greenhouses are large structures built over tracts of flat land to accommodate the protected farming techniques, that use climate control methods and such to grow seasonal crops in unseasonal weather. In hydroponics, an additional technology used is water chillers as a cool root zone promotes aeration and root health. For ambient temperature fan and pad cooling systems are effective in dry and hot weather. The system works by drawing air in through a cellulose pad placed all along one side of the polyhouse structure, water is trickled through this cellulose pad to provide the evaporative cooling effect. The air is sucked in by large fans and blown out of the greenhouse. The material a greenhouse is made of can also greatly help with removing trapped heat from the structure, commonly used material is polycarbonate which, while being significantly more expensive than a poly sheet, it has the best heat transfer ability and hence is the best for climate control. Polycarbonate is also more durable but can be tough to work with due to its rigidity. The ultimate in greenhouse material technology is Glass greenhouses, both the most expensive and the best to control temperature and climate. A Glass greenhouse would ultimately require less frequent maintenance than any other type of greenhouse material. A glass greenhouse would be ideal for doing hydroponics in Gurgaon or Delhi which have very varying climates. When looking at doing large scale hydroponics in India it is important to remember that we undergo usually intense summers followed by pleasant winters. Heating is not a necessary concern except in very extreme cold climates, but these climate zones are restricted to a few pockets and usually, the market for hydroponics is not present in these areas. This, however, should not discourage potential hydroponic farmers as the colder climates help with growing high-value exotics. These have great export and commercial value in urban areas. Automation is a key aspect of designing any hydroponics system, water is reactive and transpiration and evaporation can change key water parameters of ph and EC and hence it is necessary standing monitor systems like the Bluelab Guardian monitor. When looking at automatic dosing the requirement stems from the need to reduce labor and time spent on maintaining the system thereby freeing up labor for harvest, maintenance, and packaging of the produce. Automation can be achieved through master controllers and peristaltic pump dosers. These control panels like the Bluelab Pro Controller are very efficient at monitoring and controlling dosing pumps such as the Bluelab Peripod to maintain the all-important parameters of pH and EC. The Bluelab connect software is a remote monitoring and control software that helps growers record data and control their dosing remotely. The Pro controller is a versatile device that can control up to 12, 3 or 4 pump dosing units and can be used to do up to 3 nutrients and one pH solution, this has great application for automating fruiting vegetable crop production. The Pro controller can set an individual on/off times for each of the pumps thus enabling the grower to maintain the right NPK mix for his crops throughout the growing cycle. The Hydroponics system itself should be designed according to the crop to maximize efficiency and space. For example, Tomatoes need larger root spaces with changes to their NPK ratios during flowering but lettuce can be grown close together on pipes with very little nutrient use. Thus we use different hydroponic techniques for these plants, tomatoes are grown on DWC rafts or BATO bucket systems and NFT systems are used to grow leafy greens and herbs. The type of crop dictates the type of vessel the crop is grown in. While cheap and cost-effective, DWC trays may be cumbersome to maintain and flimsy meaning frequent repairs and upgrades. NFT and BATO systems are easier to maintain and dose, they also use water and space more efficiently. One important factor of the use of all these technologies is the ability to monitor the factors affecting crop growth and thus giving us the necessary data to improve our crop growing process to produce better yields and more quality crops. The use of technology could help us mitigate the damage that factory farming over vast tracts of land has done to our environment. The introduction of a data-based A+B= C formula is only possible with careful data monitoring and interpretation to make a replicable plant growing formula for great yields and quality produce. To understand the role of pH in hydroponics one has to backtrack to age-old soil growing. We know that soil has many macroelements and microelements essential for soil growing chief of which are nitrogen in the form of nitrates and phosphorus and potassium in their salt forms. Other microelements are calcium, magnesium, iron, molybdenum, zinc, copper, chlorine etc. The presence of these elements in their salt or chelate forms causes small acidic or basic compounds to form in the soil thus changing the overall pH of the soil. The effects of rain and other natural processes make changes to the pH of soil according to the changing seasons thus helping plants through their veg and flowering cycles. This has to be replicated in Hydroponics where we do not want natural processes to command our plant growth but rather induce pH and NPK ratio changes to achieve flowering or vegetative growth. Hydroponics farming in India has to be careful about pH changes due to heat and water “hardness”. Water is considered “ hard” when there is a high amount of calcium present, This is a common problem in the water we get from bore wells and from corporation sources. The calcium in water can react with the hydroponic nutrients and make compounds out of the salt forms of the microelements that cannot undergo cation exchange with plant roots thus causing deficiencies and higher susceptibility to diseases. Therefore it is imperative that grower’s use RO or low EC water for hydroponic farming. The general guideline is a ppm below 30 or an EC below .3(mS/cm). Nutrients these days come with “soft” and “ hard” water versions which basically uses chemical forms to negate the effect of overactive calcium and preserve the ratios of mineral salts in the solution. pH variation is achieved in hydroponics with the use of carefully formulated pH regulation solutions. These are usually made of phosphorus or nitrogen derived compounds such as phosphoric acid, nitric acid for acidic changes and sodium hydroxide in mild concentrations for basic changes. 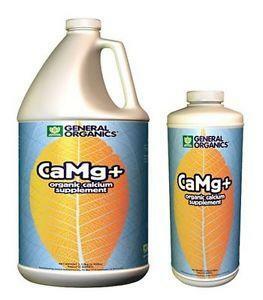 pH is recommended to be between 5.5 and 6.5 for hydroponics meaning a slightly acidic water medium. While some plants do like a more neutral or even slightly basic water medium, this is few and far between and 5.5-6.5 is the best bet to get great growth. pH dictates what nutrients are taken up. For example, better absorption of magnesium, molybdenum, and Sulphur happen at higher pH of about 6-7 but zinc, boron, and iron need lower pH of about 5-6, therefore, it may be useful to control pH during your growth stages based on the nutrients your plant needs more. To sum up it is necessary to make sure the pH of your nutrient tank is measured and monitored whether doing hydroponics farming at home or on a commercial scale whether doing hydroponics farming in Bangalore<.a> or in Delhi and this can be done easily with the available equipment such as a pH pen as made by Bluelab or a pH test kit. The pen, of course, is the more accurate and simple option. For ph testing, it is imperative to have both the testing mechanisms and the regulation solutions. Make sure to use solutions from trusted vendors that do not mess with the NPK ratios or cause the growth of bad bacteria. Growing vegetables or food crop hydroponically for yourself or family is great start towards sustainability and safety. You get to enjoy the confidence and the pride of eating food that you grew yourself, controlling all of its inputs so that you know what’s in your food. If you start to think, though, that you would like to branch out and start growing food for sale, it is important to be a bit more selective about what you grow. 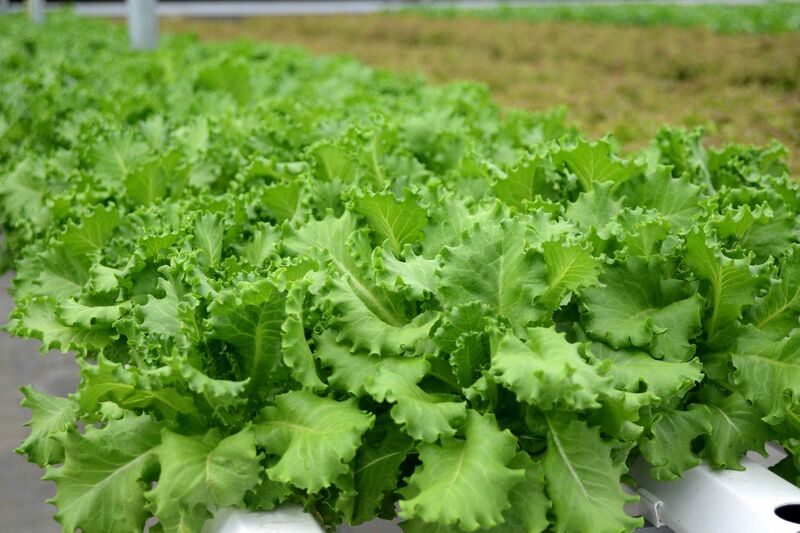 Hydroponic greens are common in most marketplaces and are highly recommended by hydroponics suppliers in India. They are a staple of hydro production and chances are, you will not be able to provide a much better product in the marketplace as there are no established hydroponic growers in India. There are, however, several other crops that can be grown hydroponically and provide a much greater return than lettuce or greens and it would be great to get to know them. Before setting out to grow any hydro crop for profit, it is important to perform a market analysis. Visit farmers’ markets, local grocery stores, and any place where folks who care about the source of their food go to shop. This is important because the vast majority of the market does not care where their food comes from. As hydroponic farming in India is fairly new not a lot of people have heard of the same or know about its benefits. This exercise will tell you what is being grown and what you can expect to charge. This varies greatly from region to region, and it should not be assumed that because one crop is profitable in one area, it will be in another. Regardless of which crop is selected for profitability, it must have some similar characteristics if it is to be successfully marketed. It must be a crop that realizes a high yield per unit area or otherwise has a quick turnaround in its growth cycle. The crop should be one that cannot be grown year-round in your particular region with conventional field production. It should also be apparent that the quality of the hydroponically grown crop is at least as good, if not better, than its field-grown counterpart. A few crops that you can explore that grow well in hydroponics are. Basil is a tropical crop that fares well in hot and humid climates and can be grown very well using NFT technology. Basil grows well and is a prefered crop for hydroponic farms in Tamil Nadu. The other crop that hydroponic farmers in India prefer to grow is Lettuce, this is because there is a huge captive demand for lettuces both from organised players like supermarkets as well as QSR restaurants. 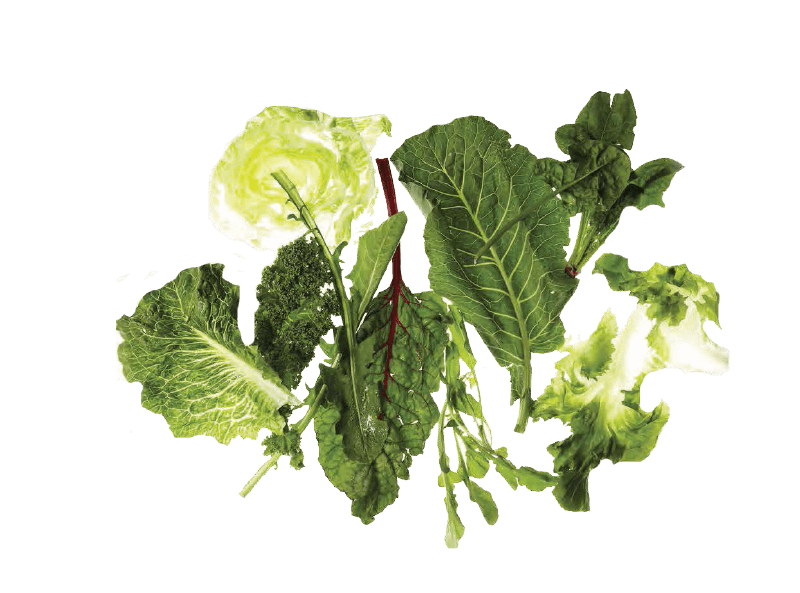 Lettuces which are also referred to as salad greens in India enjoy a very healthy image. India’s new middle class has recently embraced the salad culture of which lettuce forms the centerpiece. Moreover, its international appeal and the healthy image is causing a lot of micro players like local roadside eateries and sandwich shops to switch over from cabbage to lettuce. Kale Is another crop that is preferred by growers as this is a fairly new crop but offers a variety of post-processing options thereby making it a very versatile option. Kale is extremely healthy and if often referred to as a superfood. Kale is used in everything from juices to chips, in a variety of forms like dried herbs and pastes. Kale is a relatively new and is not very easy to find in supermarkets, making it an attractive crop option. Spinach or palak a is a very popular Indian green consumed throughout the country. Spinach grows very well in NFT systems and can be grown easily year round. In conclusion greens like basil and lettuces are prefered exotic crops whereas kale is a great option for a speciality grower who would like to focus on a crop as it offers a wide variety of post-processing opportunities. Palak on the other hand is a product that is consumed across the country and finding a market for the same is very easy. Vertical gardening, simply put, happens when you grow plants in layers that are one on top of the other. This method is useful for those who are looking to economize on space, since you can grow upward almost indefinitely thereby increasing plant capacity within a restricted space. With the introduction of hydroponics in India , vertical farming has become much simpler since soil is done away with. Hydroponics farming in India can be done vertically or horizontally. When done vertically, hydroponics farming in India will require the use of grow lights since all the plants will not have adequate exposure to sunlight. With the incorporation of lights in a vertical farming project the cost of setting up the farm will increase drastically which is why vertical hydroponic farming hasn’t gained much traction in India yet. Vertical hydroponic farming is also being increasingly used to lend aesthetic appeal to indoor and outdoor walls. The primary issue with doing it outdoors is on account of the hydroponic system design , all the plants may not get equal exposure to sunlight hence the wall will have uneven growth. When done indoors once again grow lights are a must and they must be positioned such that the entire wall is covered with light. Ideally indoor greens walls tend to be suitable for growing plants which require less light like ferns and moss. With developing hydroponic system designs and increasing awareness about Vertical farming and hydroponics farming in India, there is a lot of untapped potential in this market. Get in touch with FutureFarms to get started now! At FutureFarms, we’d like to encourage more city dwellers to grow at home without worrying about support or knowledge. We believe you are no longer limited by climate or season in the pursuit of clean, fresh food. We can now grow virtually any plant, anywhere at any time of year. With FutureFarms simple, effective hydroponic systems, anyone can save precious resources like water, reduce their carbon footprint, and feed their family and community. So, How do I get started with hydroponic? 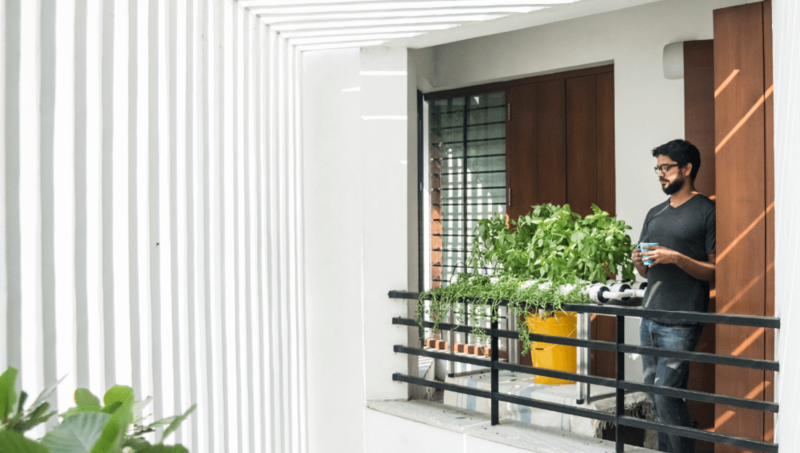 How do I choose my hydroponic Kit in India? Do you want to grow fruiting vegetables or leafy greens? Depending on the crop type, there are appropriate systems to choose from. For leafy greens: We suggest the leaf station series and the leaf pyramid series. Do you live in an apartment with compact spaces to use for gardening or do you have an expansive terrace / balcony that you want to utilise? Based on your space constraints, FutureFarms has the system that works for you. Based on what you would like to currently spend on your urban garden and your level of expertise, there are various solutions to suit your budget. 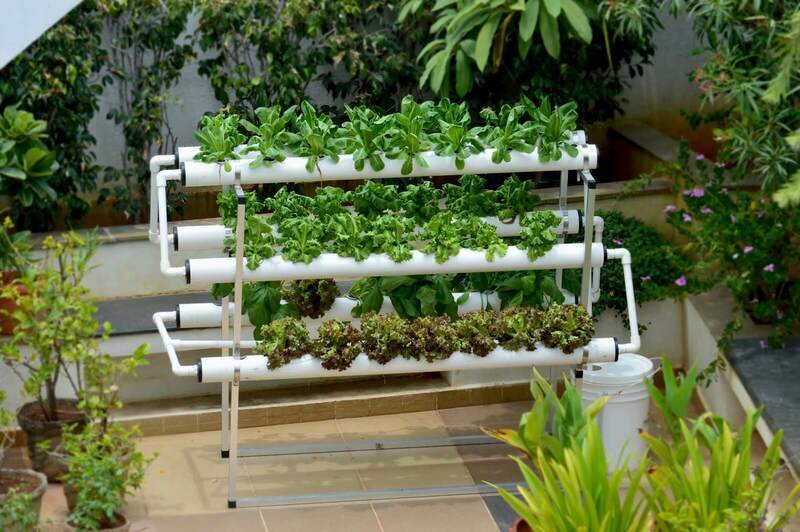 Cost of hydroponic kits range from Rs.2000 to Rs.70,000. This is the first of a 2 part series on Beginner Hydroponic Gardening Tips. For Hydroponics Farming in India and Hydroponic Kits India, we have an online community that serves as a support group, providing tips to beginners, and a place for advanced growers to share their knowledge with peers on The Indian Hydroponics Club.